Acquire, trade, and colonize your way to victory! Ralph Waldo Emerson, an American essayist, lecturer, and poet, said that “Life is a journey, not a destination.” In this game, there are no set paths to victory or signposts to guide. From the very start, the destination is clear, but how the player gets there is totally up to them. Each step is a lesson and an opportunity to improve, making the journey a process of exploration and refinement. All paths lead to victory, but this is a race, so don’t dawdle. Milestones, designed by Stefan Dorra and Ralf zur Linde and published by Stronghold Games under license of eggertspiele, is comprised of 1 large rectangular game board, 4 Player boards, 35 Worker tiles, 21 Cover tiles, 4 Player pieces (in 4 different colors), 4 Score Marker pieces (in 4 different colors), 12 Flour Sack tokens, 24 Coin tokens, 12 Stone cubes (gray), 12 Wood cubes (brown), 12 Sand cubes (white), 12 Grain cubes (yellow), 48 Street pieces, 24 Milestone pieces, 12 Marketplace discs, 12 House pieces, and 15 Bonus tiles. All the game component are of high quality and are either made out of wood or thick cardboard. The one exception are the Player boards that are made out of thick cardstock rather than cardboard. To set up the game, first unfold the game board and place it in the middle of the playing area. All the players should sit around the game board, but leave enough room between the players and the game board for each player to have enough space to mange their individual Player board as well as their collected materials. Second, take the Coins, Houses, Marketplace discs, the Streets, the Milestones, the Flour Sack tokens, the Stone cubes, the Wood cubes , the Sand cubes, and the Grain cubes and place them in piles by group in an area that all the players can reach (or designate one person to be the “Banker”). This area is referred to as the “supply”. We suggest you use small cups for every game component listed here to keep everything organized at your gaming table. Place the Cover tiles off to one side of the game playing area, too. Third, place one of the Marketplace discs on the designated starting position on the game board. Take the 15 Bonus tiles, randomize them, and then place one each face-down on the game board in areas that contain the image of a bush. Once completed, turn the tiles face-up. Fourth, hand to each player a Player board, a Player piece, a Score Marker piece, and 1 Coin. The Player piece and Score Marker piece should be the same color (feel free to allow players to choose their own colors). The Player piece is placed on the “Castle” space on the Player board and the Score Marker piece is placed on the “Zero” space on the score track located on the game board. Fifth, shuffle the Worker tiles and place them face-down in a stack next to the game board. From the top of the stack, draw 5 tiles and place them next to it, face-up, in a row. Depending on the number of players in the game, additional tiles will now be drawn and placed in a new row directly below the first. This new row represents the starting workers the players’ have available to them. Starting with the player to the left of the starting player, each player will select two of the available starting Worker tiles. The first player will select last and will have 3 to choose from. The Worker tile that is not selected is discarded from the game. The only Worker tiles that should now be showing are the 2 Worker tiles each player selected and the row of 5 Worker tiles originally placed. Sixth, players now place their 2 starting Worker tiles on their Player boards. Located at the top of each Player board are 8 columns. A quick inspection of each Worker tile will show that the two workers illustrated on the tiles are divided by a thin line. Using the thin line on the Worker tiles and matching it to the thin lines on the Player boards, the player now places their Worker tiles. Note that each Player tile has a number next to the material they provide during the game. This number is used during the game to determine if the Worker tiles are placed along the upper portion of the Player board in sequential order (from left to right). When placing the Worker tiles, each tile can overlap each other, but can never leave the defined boundaries of the Player board. That’s it for game set up! Let’s play! Note: We will only summarize the game here and suggest you review the game rules for more specific details regarding game play. The game is played in turns with no set number of rounds per turn. A player’s turn is comprised of 4 phases. The actions the player can take on their turn is dependent on what materials they have collected and what spaces on their individual Player board they land their Player piece on. 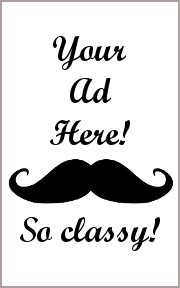 These steps and actions are summarized here. The very first thing a player must do on their turn is move their Player piece at least 2 spaces on their Player board if possible. A single “space” is defined as any of the 8 columns located at the top of the Player board (where the Worker tiles are located) and any of the 4 buildings (Castle, Mill, Board of Workers, and Trading House) located at the bottom of the Player board. A Player piece will travel around the Player board going clockwise in a loop. If a Player piece ever moves through or on the “Castle” portion of the Player board, the player must stop their Player piece movement regardless of how many spaces the Player piece as moved so far. The actions a player can take correlate to the space the Player piece stopped on. They are summarized here. Workers: In total, there are 5 worker types. These are quarrymen (provide Stone), lumberjacks (provide Wood), sand workers (provide Sand), grain growers (provide Grain), and coiners (provide Coins). Each of the Worker tiles has an image of the material they provide. The player collects that material from the supply. If the player passed other Worker tiles during this specific movement of the same type landed on, additional materials are collected. For example, if the player lands on a lumberjack and passed 2 other lumberjacks during this specific movement phase, they would collect 3 Wood instead of just one. Trading House: This location provides the player income if they have their Worker tiles organized in a sequential manner on the top portion of their Player board. If they do, the player is awarded 1 Coin for being well-organized. After that, the player has a number of optional actions they can take. They can hire a worker by returning 2 Coins from the supply and selecting 1 visible Worker tile in the row next to the stack of Worker tiles (we’ll discuss worker placement in another section below), buy any material they need for 2 Coins, or sell any two of their materials for 1 Coin. The player can perform any one or more of the actions available from the Trading House in any order they like. The Board of Workers: This location allows the player to take actions that build Streets, Houses, and Marketplaces on the game board. The player can take as many actions as they like and in any order as long as they have the materials to pay for them. When placing a Street, the player collects 2 Street pieces and 1 Milestone piece. These are placed on the game board using the lines as a guide. The placement of these pieces is fairly significant, but not difficult to determine. The Street pieces always go on the lines and the Milestones always go on the numbered junctions between the lines where two Street pieces meet. A number of victory points are earned based on where the Milestone piece is placed. The player can also build a House, but only if there is a free triangle space that borders at least 1 Street piece. Only one House per triangle is permissible. When placed, the House allows the player to collect victory points. The player is awarded a number of victory points equal to the sum of the uncovered numbers on the surrounding triangle corners. Finally, the player can build a Marketplace and place it on a free numbered junction between 2 Streets or at the end of a Street. Whatever number the Marketplace is placed on awards the player that many victory points. The Mill: This location allows the player to pay Grain to supply the currently available Marketplaces on the game board with 1 Flour Sack token. A “free” Marketplace is any such piece that does not have a Flour Sack already located on it. When the Flour Sack tile is placed on a free Marketplace, the player is awarded the sum of 2 visible numbered junctions (player’s choice if more than 2) that are no more than 1 Street lengths away. The Castle: This location, once the player’s Player piece lands on it, must stop its movement. A “tax”, of sorts, is then paid. The player must reduce their total number of materials collected to a maximum of 3 (returning any other materials back to the supply) and cover 1 worker (player’s choice – there are two workers per Worker tile) with a Cover tile. The covered worker is no longer available. A player does not cover a Worker tile if they only have 2 workers visible. No other actions are available in this location. The player can now move their Player piece again. The same rules of movement apply as noted above during the First Movement Phase. The player now takes the actions noted on the space the Player piece landed on. The same rules of actions apply as noted above during the First Action Phase. 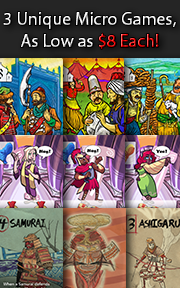 Once completed, the player’s turn ends and the next player in turn order sequence now goes. The workers are essential to a player’s success and are the only means available to acquire materials used in buys, trades, and construction. Where the player places them is just as important as what the individual workers provide. Workers are a resource that must be managed. As the player becomes more successful, they will be able to employ more workers, but each player can only have a maximum of 8 workers at a time. Additionally, the way in which the player moves their Player piece will determine what materials are collected by their workers on their turn. It’s also best not to forget that the Castle space will eliminate one of the visible workers. A player can always hire more, however. When they do, they must place the newly acquired Worker tile so that it sites on one of the 8 spaces on the Player board. Doing some quick math, it’s easy to see that a player can never have more than 8 workers visible at a time, which would imply that no more than 4 Worker tiles can ever be used at a time. And while the math is correct, the assumption regarding total Worker tiles used is not. Worker tiles “stack” on each other as the game progresses, which allows players to cover some workers and not others and to have more than 4 Worker tiles on their Player board. How the Worker tiles are placed is up to the individual player. The Cover tiles should be used to help keep the multiple layers of Worker tiles level. The Bonus tiles are scattered across the game board. These are collected when building a House on the same triangle space that currently has a Bonus tile or building a Milestone or a Marketplace at one of the corners of the triangle where the Bonus tile is currently located. The Bonus tiles provide 1 victory point immediately after being collected, 1 victory point every time the worker it’s attached to produces a good, and possibly additional victory points at the end of the game. However, Bonus tiles can only be collected by the player if they have a worker of the same type the Bonus tile represents. If they do, the Bonus tile is placed on top of a matching worker on the Player board. If they do not, the Bonus tile remains on the game board, which also stops the player from building a House in the same location. Marketplaces, Milestones, and Streets can still be played regardless of worker availability. If the worker is ever covered up, the Bonus tile is lost. The endgame for Milestones can be triggered one of two different ways. They are both summarized here. Located on the score track are small images of groups of 4, 3, and 2 people. The number of people in the image correlates to the number of players in the game. The specific spot where the number of players equals the number of people in the image is referred to as the “target space”. The game continues until a player’s Score Marker piece lands on or goes past the target space which triggers the endgame. The player who triggers the endgame must finish their full turn, which will be their final turn in the game. Then each player now gets to complete one final turn themselves. The other way the game can end is when the last Worker tile is purchased. The player completes their turn as noted above and all the other players now get a final turn, too. Once all the players have finished their final turn, the final scoring takes place. Five victory points goes to the player who has the most of each worker type displayed on their Player board (for example, the player with the most lumberjacks showing will get 5 victory points). Normally, each worker would only count as “1” towards the full count. The one exception is if the worker has a Bonus tile. In which case, it counts as “2” towards the full count. If 2 or more players tie, then only 2 victory points are awarded to each, unless all the players share the same total of numbers workers. If such is the case, then no victory points are scored for that specific worker type. The player with the most victory points wins the game! We have created the following house rules to slightly change the game play. They are summarized here. Feel free to use them during your games, but please note that none of these house rules are part of the official game rules. Mystery Bonuses: The game set up directs the players to flip the 15 Bonus tiles over once they are placed on the game board. We found that keeping the Bonus tiles faced-down until such time they could be collected to create an additional level of mystery and excitement to the game. Starting Materials: During game set up, hand to each player the materials listed on their starting Worker tiles. We found that this makes the selection of the starting workers more strategic and also improves initial game play for new players. By providing additional resources up front, the players can get into the game faster. To learn more about Milestones, visit the game’s web page. Eurogames, which Milestones most certainly is, are almost always sure winners with the Gamer Geek groups. Depending on the game’s overall level of complexity and the time it takes to play it, a Eurogame could also score high marks with the Parent Geeks, too. With the Child Geeks, Eurogames tend to be a toss of the coin. Personally, I think Eurogames are for more mature and thoughtful players. Games like Milestones requires the player to think ahead and anticipate changes. That can be stressful for Child Geeks and non-gamers. Luckily, Milestones and other Eurogames also give the player the time and the ability to change their tactics and adjust their strategy. The key to victory is often times nothing more than having really good organization and management skills. Luck hardly ever plays a role. But games like this are easy to teach, too, because there is a set system in play that defines what can and cannot be done at a universal level. The game is played, to a certain extent, on rails. Milestones will push the player to go forward regardless if they want to or not. However, and perhaps the most intriguing aspect of the game, what the player stops on and has available to them is different for everyone. Players get to design and control their own Player board which defines what materials they have at their disposal. I think this will lead to some very interesting and fun challenges, but also has a high potential of being the single most frustrating aspect of the game. If a player can’t figure out what they need and how they should go about getting it, they’ll spend the entire game figuratively going in circles, stuck in the movement loop with very little to show for it. 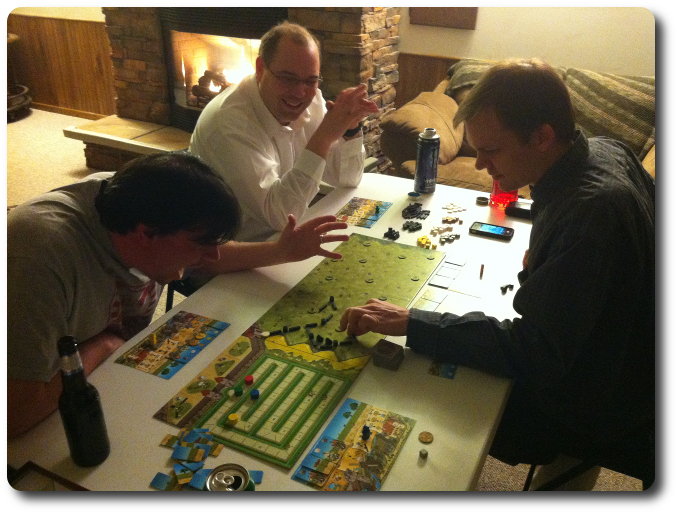 Teaching the game is very straight forward if you have players at your gaming table who have played Eurogames before. If not, expect a good 15 minutes of game explanation. Surprisingly, very little focus will actually be on the large game board, despite it being the largest game piece in play. Most of the player’s focus throughout the game will be their individual Player board that the player alone must manage. Each player is an island and you must take the time to ensure that all the players understand how their Player board works or they truly will feel stranded. I suggest you go through one turn and consider using our House Rule that gives each player starting materials based on what Worker tiles they selected. This gives all the players a buffer which some of the newer and less experienced players will sorely need during the early portion of the game. Most of the questions we were asked focused around the Castle and the Worker tiles. All of our players immediately understood how the Streets, Houses, Milestones, and Marketplaces worked on the game board. Visually, how these pieces are placed and how victory points are earned makes sense. The Worker tiles are a bit more abstract, especially when you consider that a Player board could have levels of Worker tiles on them by the time the game is done. Too much time and attention was spent by our players worrying about the sequential order, which I pretty much blame myself for. I didn’t want players to lose out on much-needed Coins simply because they had a “2” after a “3”, for example. But I also made sure that players understood that there were times when moving the Worker tiles around and placing them out of sequential order was a must. Again, it’s all about organization and management. Which brings us to the Castle. None of the players liked the idea of losing what they had earned. I had to explain the reasoning (as I understood it) several times and there was always one player left surprised when they came to the Castle and had to lose materials and kill off a worker. 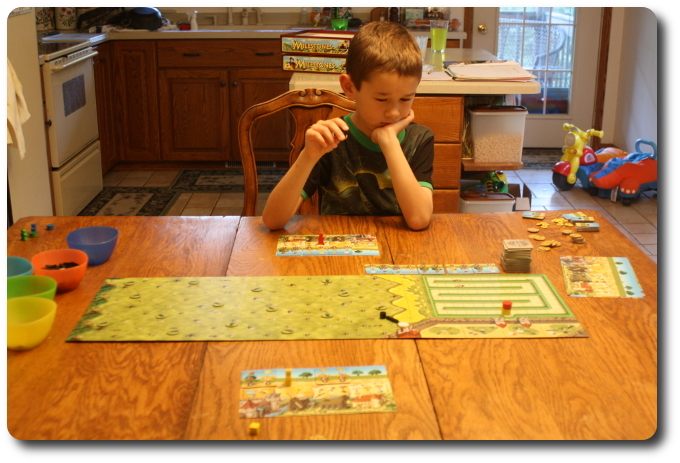 My oldest little geek had many questions, too, but he is a pretty quick study when it comes to Eurogames. He has a logical mind and he’s always preferred to “know the road” before he travels it, so to speak. He dislikes surprises in games as much as I do. After I answered his questions and he told me he felt confident about how to play the game, I asked him his thoughts on Milestones so far. It’s perfectly possible that he will beat me, or come close to it. It usually takes me 2 attempts at most Eurogames before I understand how to play it fully. Once to get the game rules down and once to get my strategy worked out. Let’s see if he and I enjoy our journey or every minute feels like an eternity. The Child Geeks were very much mixed when it came to Milestones. The older Child Geeks all knew how to play the game by the time it came to a close. The younger Child Geeks never made it through an entire game. Their level of frustration was visible from the very start as they struggled to find some way to understand how best to select which actions to take or lacked the materials necessary to take actions. As the distance between players’ victory points widened, the level of frustration became more and more visible. For the older Child Geeks, Milestones was found to be challenging and engaging. For the younger Child Geeks, they found Milestones to be nothing more than frustrating. The Parent Geeks were pleasantly surprised by Milestones and thought it was a very casual and easy to learn game. They also liked how quick the game played. Once the Parent Geeks understood how a player’s turn was carried out, they were moving along at a fairly fast pace. So quickly, in fact, that I had a hard time keeping track of their movements to ensure everyone was playing the game correctly. I know for a fact there were a few times some of the Parent Geeks cheated themselves out of a victory point because they rushed through their turn. Not that it mattered because all the Parent Geeks were having a good time at the gaming table. As a family game, the Parent Geeks thought Milestones would be an excellent choice, but only for those families who had older Child Geeks. It was also found to be a great game for Parent Geek game nights. Even the non-gamer wives and husbands thought Milestones was a fun game to play. According to one Parent Geek, “I could not be more pleased with the game. It’s fast, fun, and best of all, because my wife likes the game, I don’t have to suffer through another year of playing nothing more than Carcassonne!” All the Parent Geeks approved of Milestones and were eager to see it hit the gaming table again when time and children allowed. For me, the most interesting aspect of the game was designing and maintaining my own Player board. I really enjoyed the challenge of attempting to create a Player board that always provided exactly what I needed on demand. That’s a lot harder than it seems because every player will be forced to change their Player board and reduce their workforce. It’s inevitable thanks to the Castle. This got me thinking of each individual worker’s value, or more importantly, each Worker tile. There are two workers per tile and I found myself selecting Worker tiles where there was a worker I really didn’t care about. This made it easy to kill off a worker, but I couldn’t do this every time and deciding which worker to nuke could be very difficult. But most importantly, I really liked how I got to decide where I wanted my Player piece to land. There is a subtle element of speed control that is not immediately obvious until you suddenly find yourself in front of the Castle gates much sooner than you expected. A player needs to be smart about where they place their Worker tiles and where they place their Player piece during the movement phases. Failure to do so will result in a less than satisfactory turn where the player has little to nothing to show for their efforts or must give up a lot more materials than they intended thanks to the Castle “tax”. There is nothing new to find in Milestones which I think accounts for some of the Gamer Geeks feeling fairly “meh” towards it. It’s a game that uses tried and true game mechanisms, which results in a solid game. 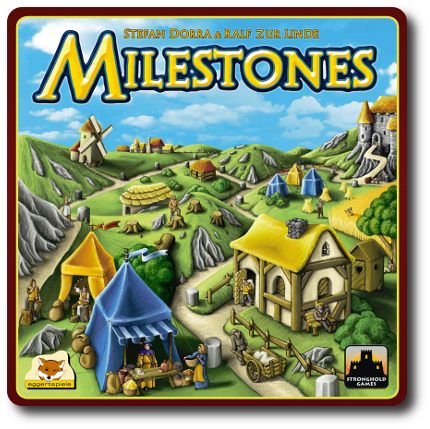 For any game enthusiast who is new to Eurogames, I believe Milestones will greatly please and excite! For any Gamer Geek veteran, they’ll find Milestones to be awash in familiarity that might result in lack of interest. I enjoy the game and find it to be a breath of fresh air. I am most pleased to have it in my collection because it’s perfect for those game evenings where I want to play a casual and lighter Eurogame. And by “lighter”, I mean it’s about medium weight in both difficulty and time needed to play it. When I sat down with my Gamer Geeks friends, a single game only lasted about 45 minutes and with less experienced players, the longest game was only about 75 minutes long. At no time did I feel rushed, dragged, or bored. There was always something for me to tinker and to think about as I shifted my attention from my Player board to the larger game board. Even when I left the game table with a pitiful number of victory points, I always felt good about the experience. I would recommend Milestones to any player who is new to and wants to start learning how to play Eurogame. I would also recommend Milestones to families with older Child Geeks. Do give this game a try the next time you get a chance. Tagged Gamer Geek Approved, Parent Geek Approved. Bookmark the permalink. Great write up and review. I’ve never really delved too deeply into Eurogames. I wonder if my wife and I wouldn’t end up my like the younger Child Geeks. At the same time, it does seem like a good introduction into Eurogames… or at least one that is quickly paced and easy to learn. It could be a good gateway into what we may have been missing. It’s a bit on the heavy side for a “gateway”. I might suggest you try Tower instead. OK, I appreciate the heads up! I’ll look into Tower instead.